Many people have found hope for their future through their journey of becoming a PADI Professional. We all have had different life experiences and come from different cultures which impact on these experiences. However, we can all testify to diving’s healing power even when nothing else works. This is the structure of PADI’s ethos with one of PADI’s Pillars of Change being ‘Healing + Wellness’. The Healing + Wellness pillar focuses on highlighting how individuals can reach their goals and aspirations when triumphing over adversity, illness or hardships. 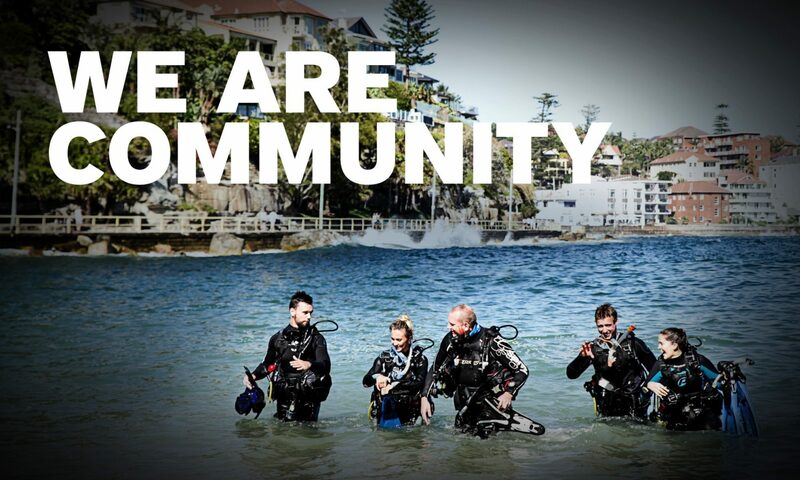 We have all decided to become PADI Professionals but each of our journeys were different. For some the journey was relatively easy and straightforward, whereas for others it was difficult and full of challenges. Someone who experienced a more challenging journey was Jamie Hull, a former UK Special Forces Reserve. I recently had the pleasure of sharing time with Jamie, one the most inspirational human beings, who has had to overcome huge adversities, challenges and roadblocks to reach his goal of becoming a PADI Instructor. His extraordinary courage, drive and passion came about after a life changing plane crash which left him with third degree burns on over half of his body. Jamie has had to rebuild his life after several years of hospital treatment, skin grafts and countless operations. He is currently applying for his PADI Course Director rating, committed to teaching divers who are also experiencing challenges. He hopes to help these divers overcome their physical and mental hurdles to become PADI Instructors, just like he did. Back in October, PADI staff conducted a PADI Adaptive Techniques Instructor course in Thailand, which Jamie joined. Jamie was asked to share his experience with the group of PADI Course Directors. He was able to help everyone understand the type of compassion, empathy and patience that is required to teach the course. We have asked Jamie a few questions so that you, as a PADI Professional, might also adapt the way you teach your various diving courses when you feel needed. How did diving affect your recovery? Following a 60 percent third-degree burns injury in 2007, my skin was far too damaged to contemplate going back into open water as a diver, let alone to teach others again. I was terrified that the salt water would have a further damaging effect upon my skin, so I naturally avoided taking any such risk. In fact, it would be five long years of recovery and rehabilitation before I entertained the idea of giving it another go. I felt like I had lost all my former confidence to dive again, so it took a lot of courage for me to don a wetsuit and full scuba kit and take that big giant-stride off the back of a Liveaboard in the Red Sea. However, to my absolute joy and astonishment I quickly realised that my skills remained in-tact and, moreover the salt water soon became my saviour: it helped to accelerate my physiological and skin-cellular healing in ways that I had never imagined. The quality of my skin soon began to improve with every subsequent dive, exhibiting less dryness immediately. Any tender areas of my skin were soon rewarded with stronger integrity and steadily began to feel more dexterous, and supple. On a psychological level, this was all the evidence I needed. Through diving, I began to feel more confident in myself and it definitely improved my self-esteem following injury. What does diving give you that other sports do not? There is something entirely different about scuba diving regarding the effect that is has on my whole being. For starters, I find a tremendous sense of peace and tranquillity from diving in the ocean: just to experience the unique and unequivocal sensation of breathing underwater helps me to feel somewhat more relaxed every time I make the descent. I feel it can be greatly therapeutic in helping to cleanse the mind of stress. For me, it could be described as spiritual, whereby the ocean helps me feel at peace and at one with the world. What are your future plans in diving? Diving with PADI has actually been a focus and passion of mine from an early age, having initially tried it as a young backpacker on the Great Barrier Reef, Australia. I knew then, that I wanted to maintain an interest in diving for the rest of my life. Following the injury, and with regard to the benefits that I experienced first-hand from diving, I then decided that I wanted to develop myself further as an Instructor. My personal goal now is to become a PADI Course Director, as I have an underlying wish to be involved with and help others to achieve professional diver ratings within the industry. Specifically, I would like to work with other wounded service personnel and people with physical or psychological disabilities, in order to help them achieve as diving professionals and experience the benefits of working within the diving industry as I have been able to. What can others learn from what has happened to you? By sharing my own story and testimonial, my hope is that people who have sustained injuries, or perhaps acquired disabilities in life, may feel inspired to give diving a go – by realising how accessible and inclusive a sport it really can be. Others can learn by embracing the challenge, by following a safe and structured approach to learning, utilising adaptive techniques, in order to achieve the required standards to become divers themselves. For some – as was certainly the case for me – they may well require a little more time to practice skills and learn techniques that will best suit them as individuals. For in my personal experience, as someone that sustained severe muscle loss and nerve damage to both lower limbs, but was still able to continue diving, what I do know is this, ‘Where there’s a will, there’s a way’. So for others, that may be considering the sport, although perhaps unsure whether it’s possible for them due to injury or disability, they might just be pleasantly surprised what the sport of diving can do for them. Many can therefore choose to embrace diving in their lives and experience the remarkable healing benefits of the ocean environment. We can all learn from Jamie’s story; ‘when the going gets tough, the tough get going’. Part of what we do as PADI Instructors is help people realise their dreams and then we help them achieve them. With perseverance and determination, goals can be achieved and new compelling stories can be born. For more information on the PADI Adaptive Techniques Specialty course or the PADI Adaptive Support Diver course contact your PADI Regional Training Consultant. Next PostNext How Can We Protect More of Our Oceans?